Saturday, April 27th from 1:00 pm - 3:00 pm at Newburgh Art Supply. Books will be available for purchase and signing. Please Join us for engaging conversation and book signing with Hudson Talbott - writer, illustrator, Hudson Valley, NY resident and writer of River of Dreams, From Wolf to Woof, United Tweets of America, and It’s All About Me-ow. Hudson has illustrated numerous picture books, including Newbery Honor winner Show Way (by Jacqueline Woodson) and Leonardo’s Horse (by Jean Fritz), and ALA Notable and VOYA Honor Book. Thomas Cole (1801 – 1848) was an English-born American painter known for his landscape and history paintings. One of the major 19th-century American painters, he is regarded as the founder of the Hudson River School, an American art movement that flourished in the mid-19th century. Hudson Talbott’s book immerses children and adults in a fun and unique journey through Cole’s life, incorporating images of some of Cole’s most beloved paintings. small shop BIG STUFF- All in Stock now! - wood panels up to 60"x60" in stock! Traditional Japanese Papers Now in Stock! We're now carrying a selection of traditional Japanese papers. A sample pack of the eleven papers we're starting with is available. We are purchasing our stock from one of New York Central's distributors who's had decades of experience with these papers. If what you use isn't in stock we'd be glad to custom order for you. Many papers are also available in rolls. 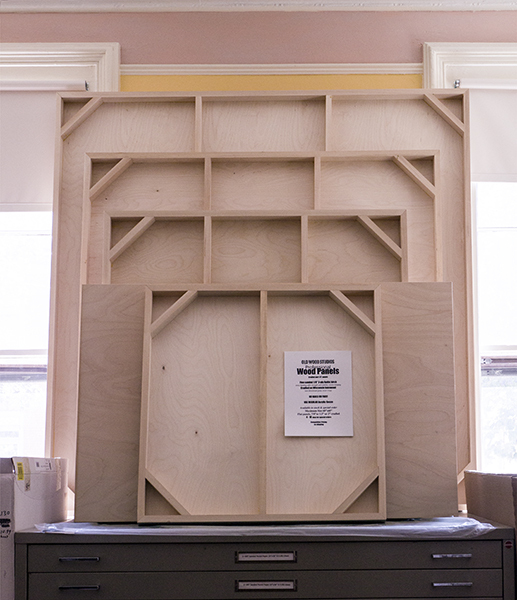 See our large stock of cradled panels- including 30"x30", 36"x48", 40"x40", 40"x50", 48"x60", 50"x50", 60"x60". We also stock a wide variety of uncradled panels up to 18"x24". Competitive pricing. Top quality. No waiting. Our wood art panels are the best crafted in the United States. If you paint on wood, we encourage you to compare quality and ask us about our competitive pricing. Baltic birch faced 1/8" 3-ply panels in all sizes, cradled on Wisconsin basswood (7/8", 1.5" or 2") and uncradled. Larger cradled panels are braced with 8" corner braces and H or single middle braces. The workmanship is exceptional. We gladly take custom orders- delivery 4-6 business days as everything's made to order. Larger sizes can be ordered using 1/4" face. Please call for quote. *We now offer drop shipments-call for details/estimates. Our prices are very competitive and can be ordered any size up to 60"x60"(1/8" facing) and up to 48"x96"(1/4"facing)- minimum 3 panels per size.